The Sunnyvale City Council has decided to continue the conversation regarding approval for Denali’s new high school campus, which would be located on San Aleso Avenue in northern Sunnyvale. 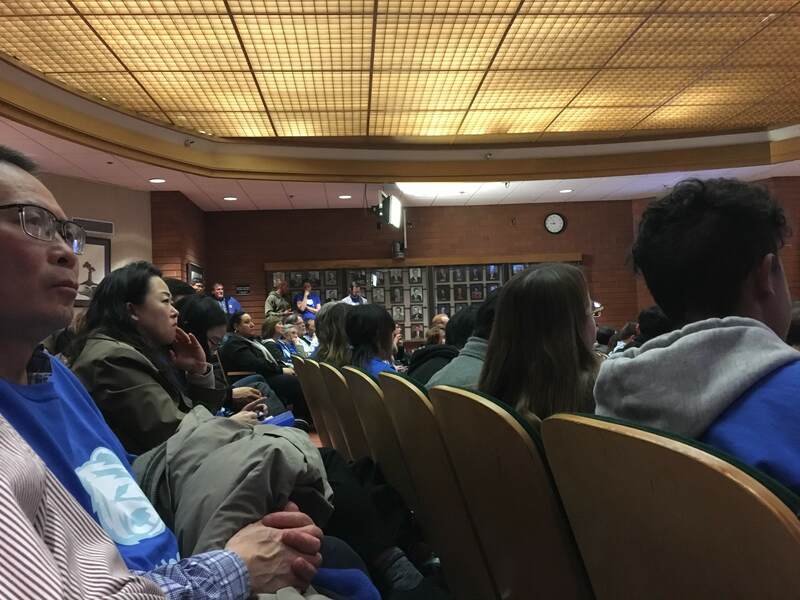 On Jan. 29, Summit Denali appealed to the Sunnyvale City Council after they were voted down by the Sunnyvale Planning Commission on Dec. 10. During the four-hour meeting, the council built off of the planning commission meeting and discussed different aspects of the proposed location. The main focus of the discussion was directed toward the issue of parking, which was the main reason for the 4-3 vote against the proposed campus during the planning commission meeting. “The concern is that residents will find their streets filled with cars,” Councilmember Michael S. Goldman said. The City of Sunnyvale holds a requirement for all schools and buildings to to have one quarter of a parking space per student that attends the school. However, a study conducted by Kimley Horn suggests that Denali needs only 54 parking spots, as compared to the 100 parking spaces the city requires. The proposed campus had 69 parking spots. In response to the 31 parking spaces that the original plan did not provide, the school has begun to search for possible off-site parking. While they do not believe that it is necessary for the approval of the campus, they are willing to look deeper into this to get the campus approved. Other concerns arose during the meeting, including the lack of open space for students to play in during breaks and lunch. Vice Mayor Russ Melton displayed special interest in this issue. Denali students and parents were able to share their perspectives on the issue. Testimonies ranged from how the school has benefited individuals to how families plan to carpool to the new location. Heather Chen, a parent of two Denali high schoolers, discussed her children’s choices to come to Denali after elementary school: “It gave us a chance for a better fit,” she said. Other parents talked about the educational opportunities Denali provided their children. “We’re running out of space. We have to adapt,” parent Katy Berg told the council. Other students expressed their concerns for the uncertainty of their future. 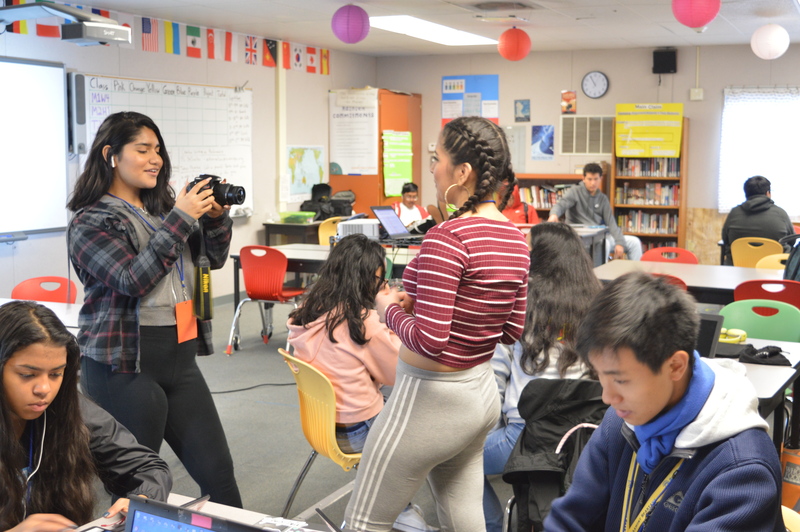 “I’ve been with Denali since the beginning, and I want to be able to graduate from our school next year,” Denali junior Tamara Pacheco said when asked about why the meeting was important to her. The San Aleso campus is located in Snail territory, a section of northern Sunnyvale. Members of the Snail community expressed their concerns regarding the parking, construction noise and the architectural aspects that might affect other homeowners’ land. Nonetheless, Snail residents whose children attend Denali showed their support for the new campus location. “When the San Aleso campus opens, hopefully they [my kids] can walk home,” parent James Begole said. Carpooling, bicycling and other forms of transportation that would limit the amount of cars moving in and out of the campus were also brought up. “That is very efficient,” Councilmember Nancy Smith said in regards to Denali’s carpooling policy. In response to issues being raised, Councilmember Glenn Hendricks began to focus on the specific parking issue. “How can we create a condition of approval that states Denali will never use any off-site parking?” he asked. Mr. Hendricks hopes to impose a zero-tolerance program with a fine for off-site parking. In response, a motion was set forward that proposed that Denali continue to work with the city staff to impose a penalty for inappropriate parking and to determine this threshold. The council voted to pass this motion 6-1. Vice Mayor Melton voted against the motion. “I think we need to get this across the finish line tonight, and frankly there is enough to do so,” he said. The council plans to meet on April 23 to further discuss and conduct a final vote regarding the approval of the proposed campus. “We hope that you will continue to join us as we fight for the future of Summit Denali together as one campus community,” Denali Executive Director Kevin Bock wrote in an email to Summit Denali families and staff.